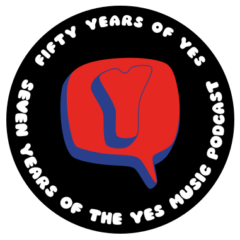 The ninety-eight episode of the Yes Music Podcast, featuring part 2 of my own Yesstory. Listen and see if your Yesstory is similar to mine, then let me know by contacting me via any of the different routes on the right hand side or by leaving a comment below! When was my first Yes show? Which is my favourite Yes show? I am on holiday for the three weeks of episodes 97-99. I’m hoping to have an internet connection to be able to publish these – sorry if it doesn’t work out! If you are still listening to the podcast on the website, please consider subscribing so you don’t risk missing anything. You can subscribe with an RSS reader, with iTunes, with the iOS Podcasts app, on your Blackberry, via email updates, on TuneIn or via www.stitcher.com.